Seminal fluid has often been perceived as simply a medium used by the body to transport, nourish and contain sperm, but recent research has discovered that seminal fluid plays a far more important role in reproduction and human development than was previously thought. A team of scientists at the University of Adelaide, Australia, recently published a paper (http://www.pnas.org/content/early/2014/01/23/1305609111) detailing the results of research they have carried out using laboratory mice. Titled ‘Maternal tract factors contribute to paternal seminal fluid impact on metabolic phenotype in offspring,’ the paper concludes that the amount and quality of seminal fluid has an impact on both sperm integrity and signals received by the female reproductive tract, and that its absence can result in health problems and disease in male offspring. During twenty years of research into reproductive immunology and biomedicine, Professor Sarah Robertson had already found that seminal fluid plays a major role in altering the expression of immune genes in pregnant females. It achieves this by upregulating inflammatory chemokines and cytokines. Recent research carried out by Professor Robertson and her team has found that without the ‘signals’ that are communicated from the seminal fluid to the female reproductive tract, development of embryos is not optimal and the likelihood of metabolic problems is increased. The Adelaide University team took male mice and removed their seminal vesicles before breeding them with normal female mice. While this reduced their chances of conception, some female mice did become pregnant. The embryos that were fathered by mice with no seminal vesicles tended to have abnormal cavities, smaller blastocysts and experienced developmental delays. The adult male offspring went on to develop various symptoms of metabolic disturbances. They had 72 percent more fat, higher systolic blood pressure, delayed glucose clearance and altered metabolic profiles compared to the control group. In order to confirm that changes in the maternal tract were producing these results, the team removed some embryos from the females that had been impregnated by males with removed seminal vesicles and grew them artificially in a culture dish. These embryos did not show the same metabolic problems. The team also inserted normal embryos into some female mice that had mated with males who had their seminal vesicles removed, and these normal embryos developed metabolic syndrome and poor development. This confirmed that it was the maternal tract, lacking the information usually conveyed by seminal fluid, which was impacting adversely on the embryos. Examination of the female reproductive tracts that had not been in contact with seminal fluid showed them to be lacking several beneficial cytokines, including those that inhibit leukaemia (LIF) and stimulate the growth of granulocyte-macrophage colonies (GM-CSF). They also found high levels of the apoptosis-inducing factor (Trail). Female offspring fathered by mice with no seminal vesicles did not show the same metabolic disturbances as their male counterparts. Professor Robertson attributed this to the fact that male embryos develop faster than female ones and require more glucose. This makes males more vulnerable to early environmental problems. The discovery that the composition of paternal seminal fluid plays a vital role in the health and growth of male offspring has implications for human biology, particularly in IVF research and funding. 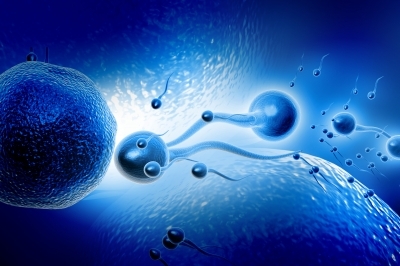 This has tended to focus solely on the sperm, ignoring the seminal plasma. The findings of the Adelaide team should lead to further research on the effects of seminal fluid on the female reproductive tract, and role in the balance of signals leading to the development and genetic programming of embryos.